This is a birthday cake I made recently for a lady who loves gardening. 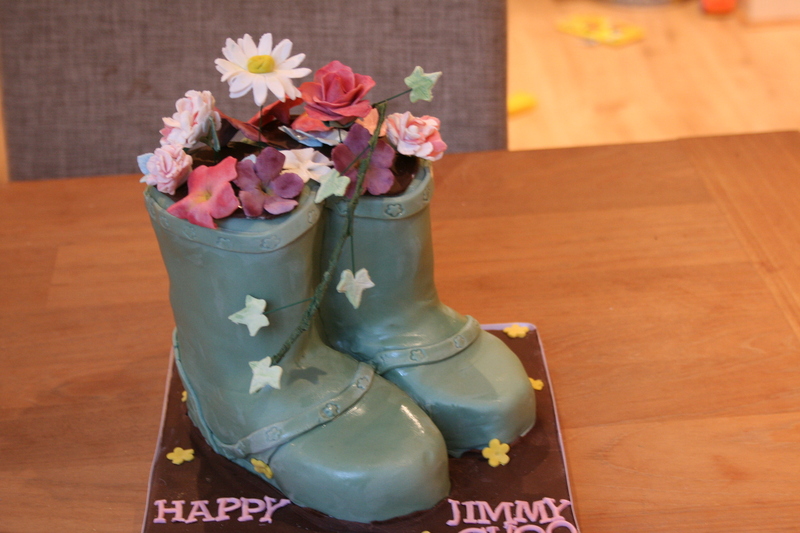 I was told she practically lived in her Wellies and that’s how my customer came up with the idea for this cake. 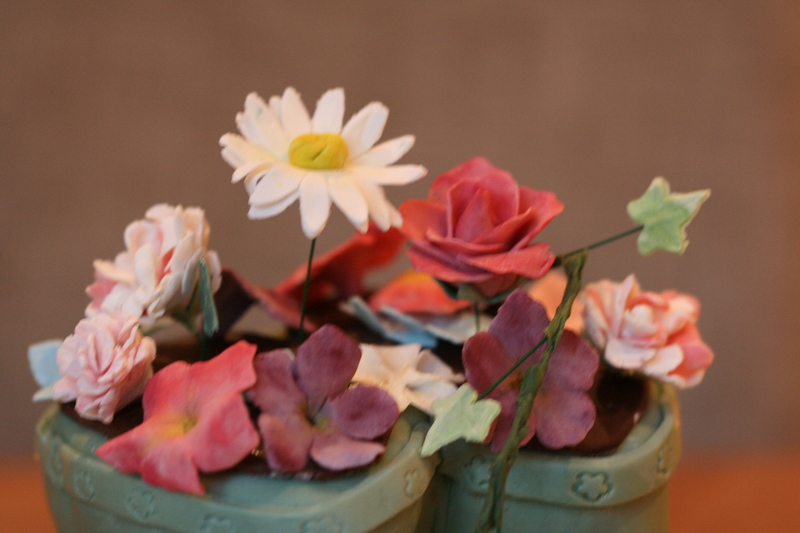 The customer had requested some flowers to be stuck on top so I made this assortment from gumpaste. 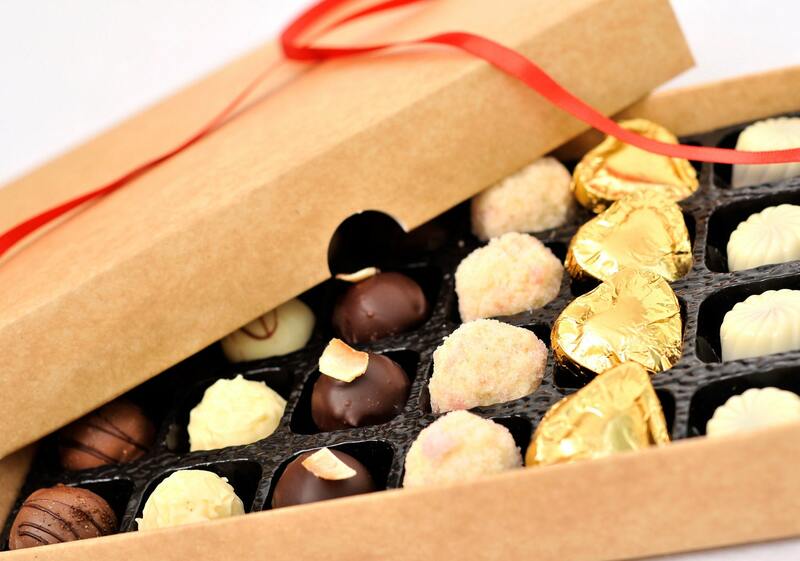 The most important thing was to get the shape and dimensions correct. So I set about measuring up my son’s wellies and traced the outlines on some paper. The details were then transferred on to a clean sheet of card paper and that’s how I got these cut-outs. 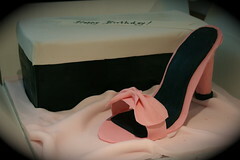 The cut-outs were used to cut the base and the leg of the wellies from two 7 inch square cakes. A slightly thicker one was used for the base as this had to support the weight of the legs. The smaller bits (legs and wedges were cut from the other one. In all, I had 3 layers for the legs + 1 layer for the base. 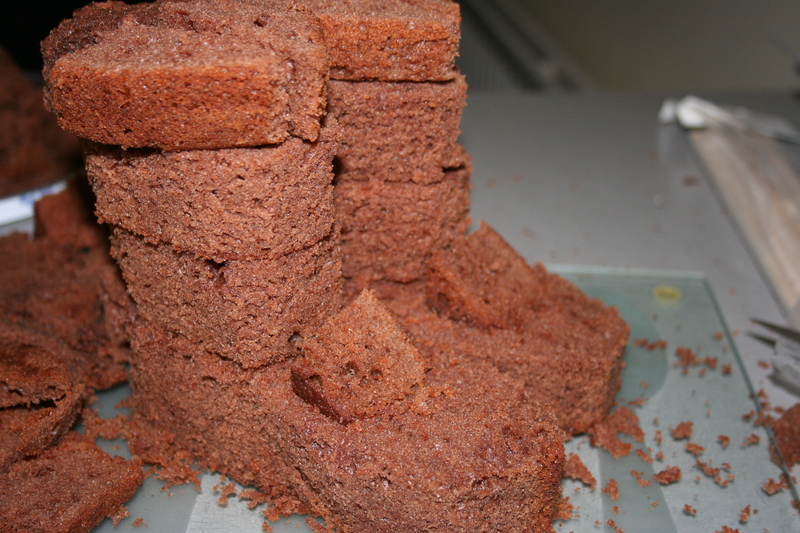 A dowel was used in each leg to support the structure as the cake had to travel about 5 miles. 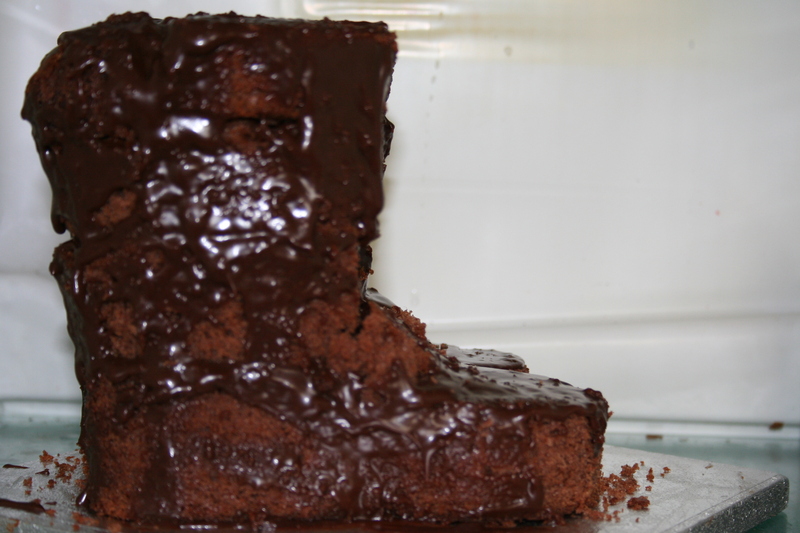 The cake requested was a chocolate fudge cake – the sticky soft icing can sometimes pose a problem when covering as it does not set well like buttercream or ganache. It took a good 2-3 hours in the fridge before it was set enough to be covered with rolled icing. The rolled icing was applied in 3 parts to prevent it from tearing in the wrong places. One part was used to cover the toes and another two to cover each leg. The joint between the two boots was achieved using the rolling ball modelling tool. 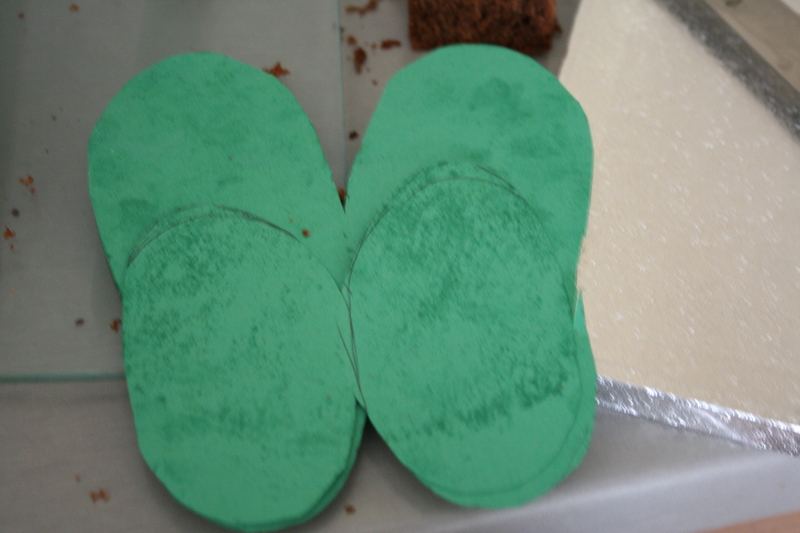 Strips of the same icing, embossed with flower shapes were stuck on for better effect. I didn’t stick on the flowers until delivery time the next morning. The cake was left alone overnight without them. Although I spent a sleepless night over this, it proved to be a good test of its stability. 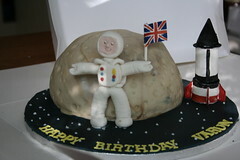 Really pleased to say that the cake stayed intact through its short ride and proved to be a hit with the birthday girl!! 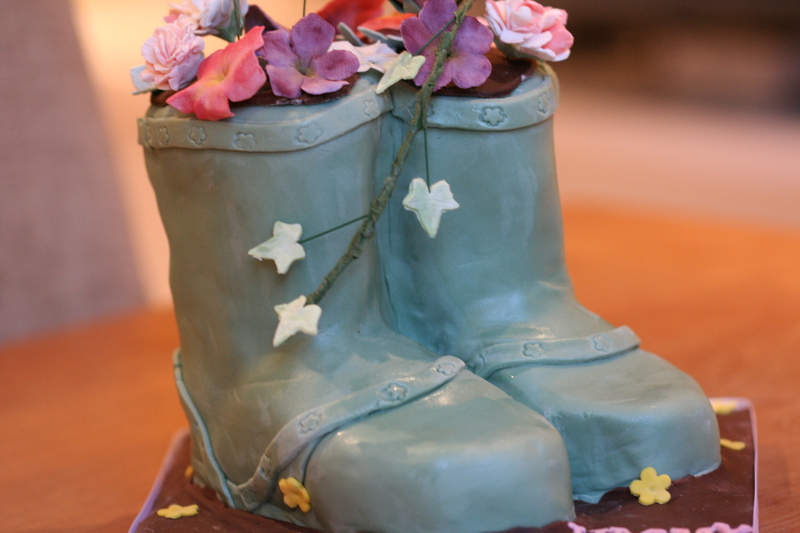 This entry was posted in Cake, Custom, Design, Fun, Innovation and tagged "Gardening boots cake", "Wellies cake", 3D cake, Wellies. Bookmark the permalink.